Greetings card and postcards with gift voucher certificate. Can be redeemed against Persie Gin, distillery tastings or gin merchandise. 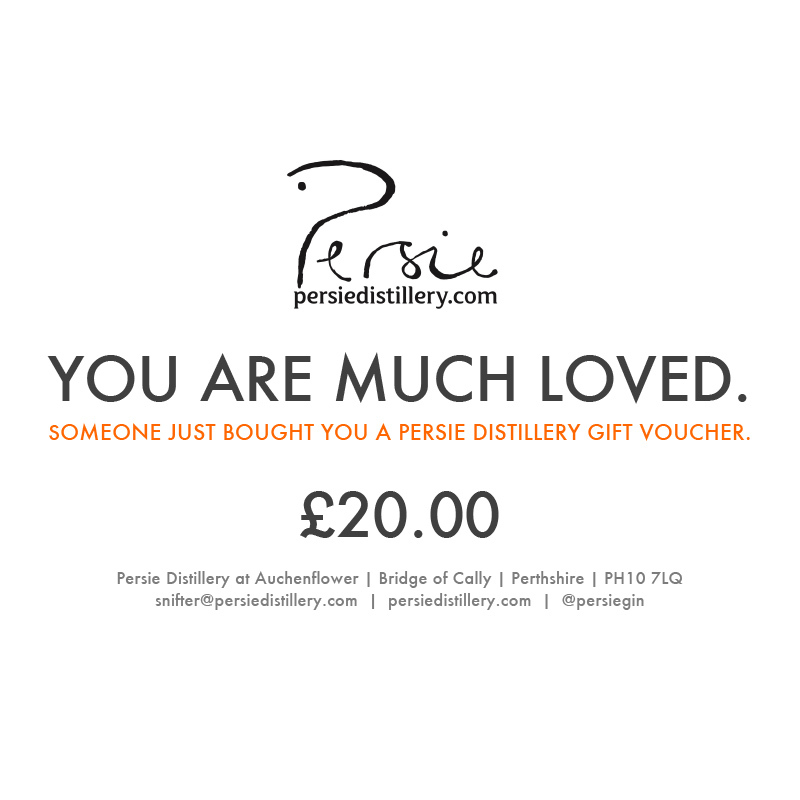 A ‘liquid tour’ at Persie Distillery costs £15 per head.